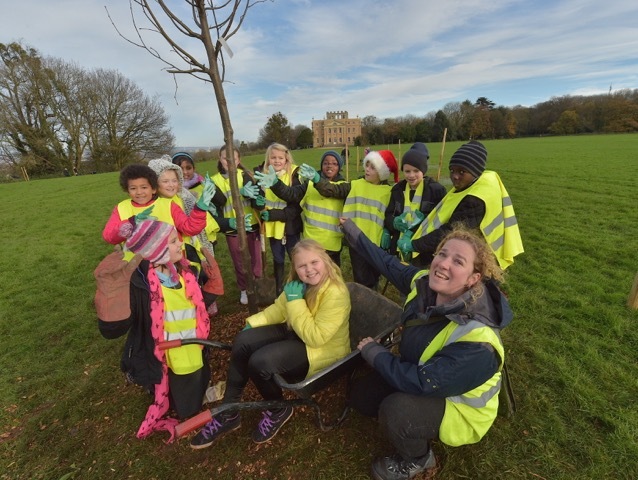 Some of you will have been following the build-up to the restoration of the lost avenue that once led to the front of Kings Weston House, well now its happened! 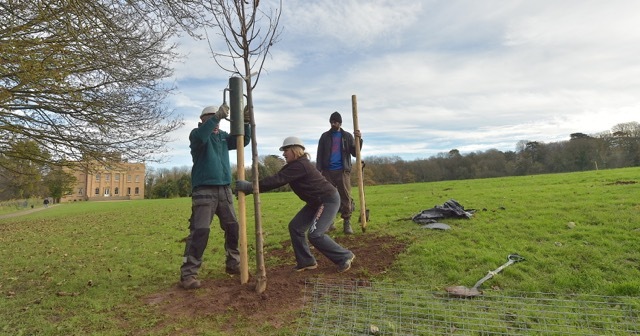 Over two days, the 1st and 2nd of December seventeen trees were replanted in the original locations of the lost originals that had first been planted in about 1700. 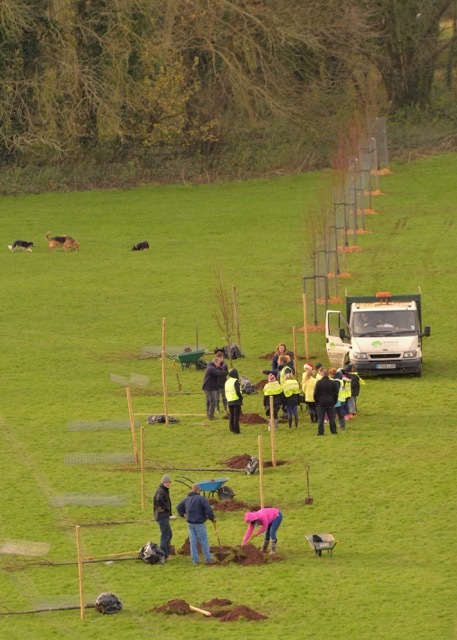 The avenue was restored as a memorial project to Tim Denning, co-founder of KWAG who died suddenly in 2012. It has been made possible through generous donations from Tim’s friends and family, as well as Bristol Port Co and many other donors who were keen to see the historic avenue replaced. 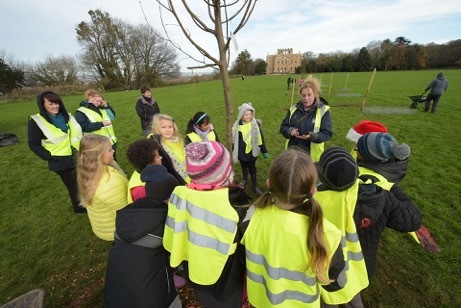 Bristol Tree Pips organised the two day event with us and ensured that there was plenty of opportunity for volunteers and local schools to get involved and play their part in a project that will hopefully take many decades to flourish. You’ll find a full gallery of photos documenting the restoration here. Photos are courtesy of Bob Pitchford. This entry was posted in Uncategorized on December 2, 2014 by David Martyn.